So, as I rock back and forth, sweaty-fretting about sales, reviews and opinions, re-refreshing still-fresh stats and rankings, glugging cold coffee and mumbling about immutable fate and impossible uncertainty in alternating breaths, I remind myself that this is the whole point of being a book-writing-maker-person. The book must meet the shelf. Trepidation aside, I couldn't be more excited about these books if I got a facial tattoo of a big, stupid grin. Over the next few days and weeks I'll be posting bios of some of the major players and giving a bit of story behind the story. 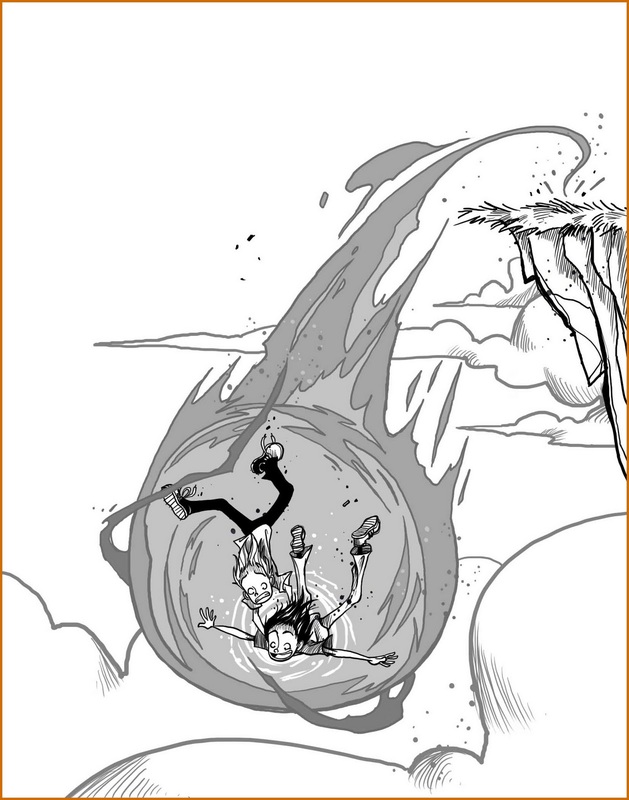 In the meantime, here's a picture of the heroes of the series, Jonny and Tommy Atomic, jumping off a flying island. BOOM. Thanks again to Jamie Littler for the illustration!